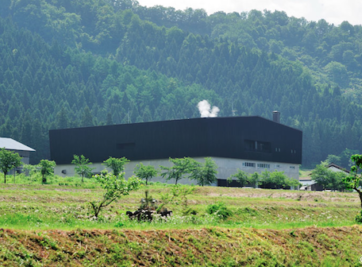 Hakkaisan Brewery Co., Ltd is located in Minami Uonuma City in Niigata Prefecture. 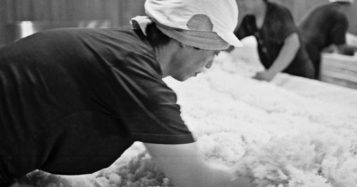 We were established in 1922 as a company that specializes in sake-brewing.Even in a prefecture as renowned for sake-making as Niigata, our area is prominent for its heavy snowfall. Snow can pile up to a height of 2~3 m during winter. Due to being situated at the foot of the sacred Mt. Hakkaisan, snow that falls on Hakkaisan brings with it under- ground water from the Hakkai mountain range.This [pure water from Raiden-sama] is drawn into our brewery, where it is naturally used as water for sake-making in all of the brews our distillery makes. Cold and wet winters, along with very soft water from the Hakkaisan mountain range used for sake-making, yield the most conducive environment for crafting light and delicate tasting sake.At Hakkaisan Brewery, our aim is to elevate the standard of sake usually drank, and to supply great wine to as many people as possible. Drawing upon this concept, we put into practice (the application of Daiginjo sake brewing techniques to all varieties).For that reason, as passionate as we are about the provenance of sake rice suited for sake-brewing, even our Seishu is made with rice milled to a high polish of 60%.By adopting Ginjo sake brewing techniques such as handmade rice malt and fermentation mash made in small-batches over long-term fermentation at low temperatures, we work with traditional crafting methods as our basis,devising strategy after strategy, refining our techniques, and devoting as much time and effort as we can to brewing the best sake humanly possible. We believe to make sake standard higher by making better quality everyday regular sake is sake brewery’s mission. Apply premium sake making method “Ginjo Method” to all of our regular sake, and all premium sake “Ginjo” are aiming to produce as ultra-premium sake “Daiginjo”. We produce “Daiginjo” every year with the goal of making highest quality possible and that is Hakkaisan’s Philosophy. Not just seeking the quality, we seek the quantity also to be able to provide good quality sake for all customers. 「IZAKAYA×KAMAMESI TAKE」and「Bar BAMBOO」have all Hakkaisan items including very special rear sake.This special sake is called “Funaba” which is only available at extremely selective stores.Our staff have sufficient knowledge about sake to answer any question you might have.